The rustic glam look is a classic. This style borrows from the French country home style and blends it with the tones and materials of rustic aesthetics. The contrast creates the look of this bed. 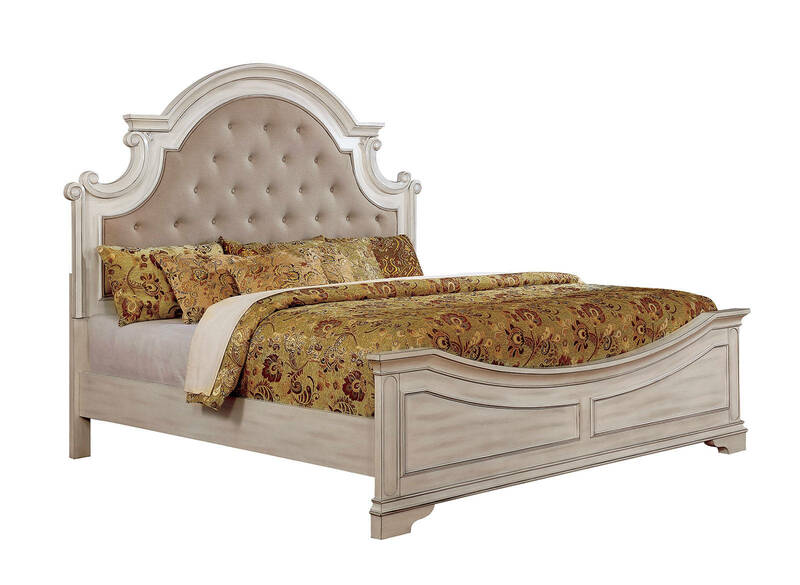 Elegant details like curling wood trims, and tufted headboards meet with rich wood tones giving you this stunning balance of high class royalty with a weathered and worn feel. You'll feel like you stopped at a highbrow bed and breakfast every time you go to bed.